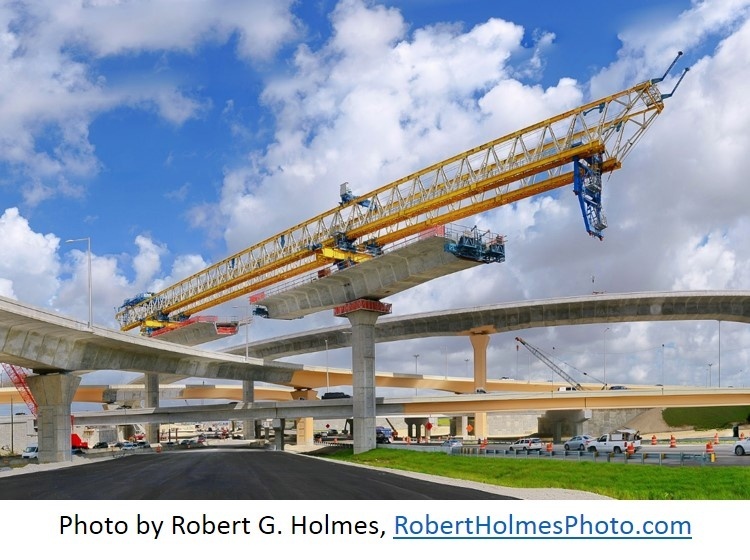 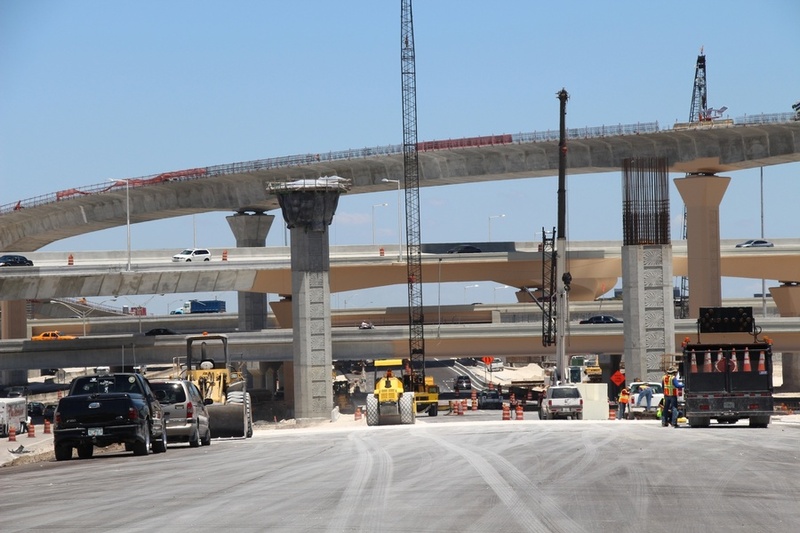 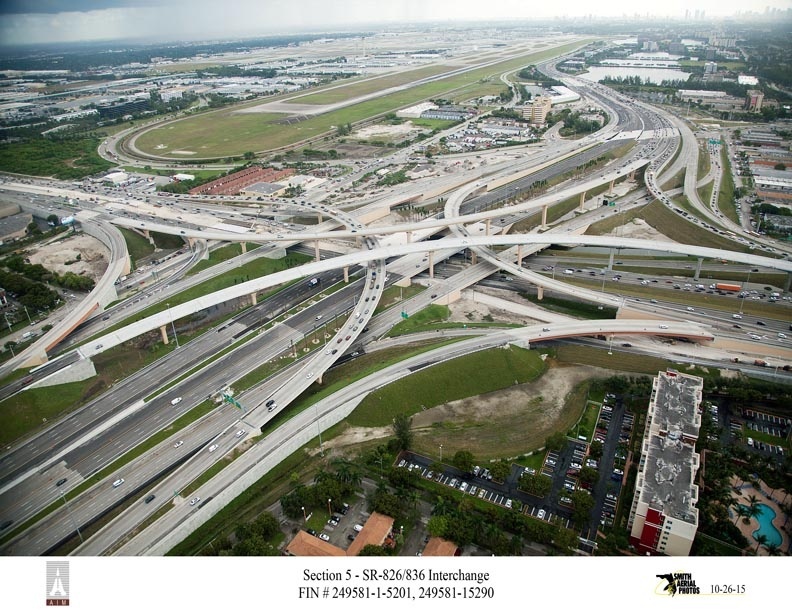 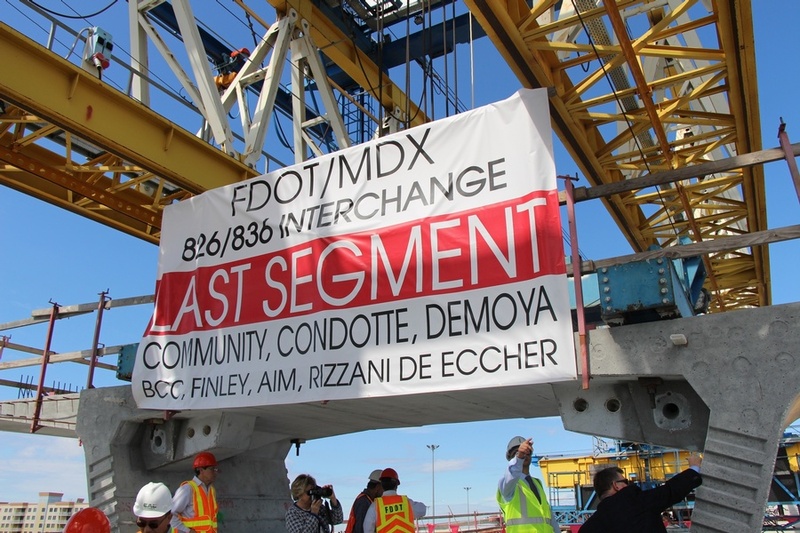 This $558 million design-build-finance project involves the construction of an interchange between SR-826 and SR-836, two limited access facilities, as well as the reconstruction of SR-826 at Flagler Street and SR-836 at NW 72nd Avenue interchanges. 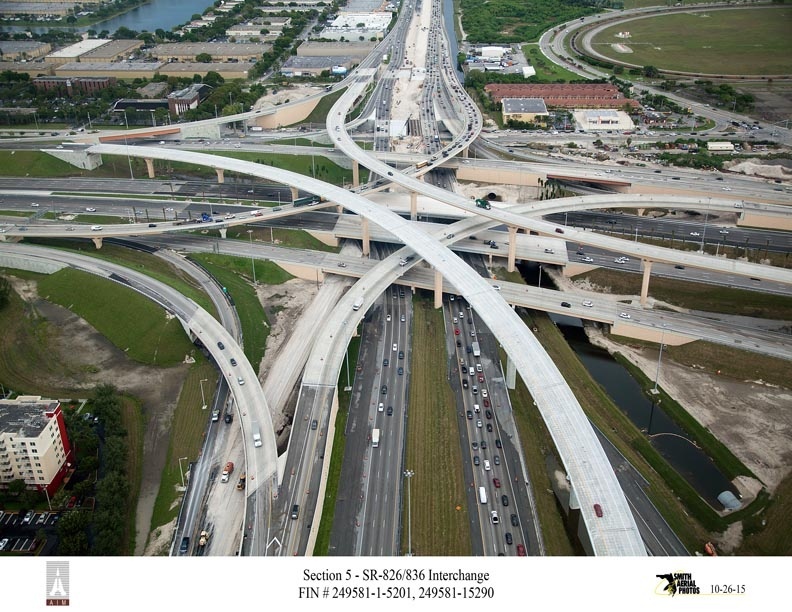 Capacity improvements include the reconstruction and widening along both SR-826 and SR-836 and the construction of 46 bridges. 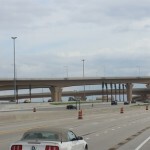 The project will provide new direct connector ramps for major improvements and collector-distributor ramps to eliminate existing geometric and operational deficiencies. 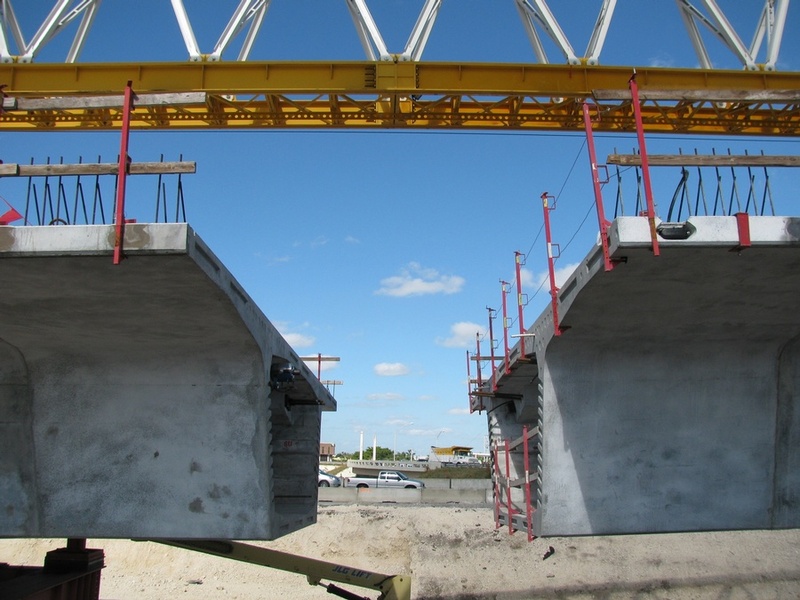 As the Engineer of Record, FINLEY designed and provided the construction engineering on four high-level segmental bridge ramps (Bridge Nos. 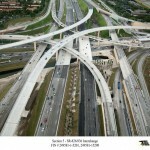 9, 11, 15 and 19) that traverse the core of the interchange. 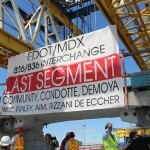 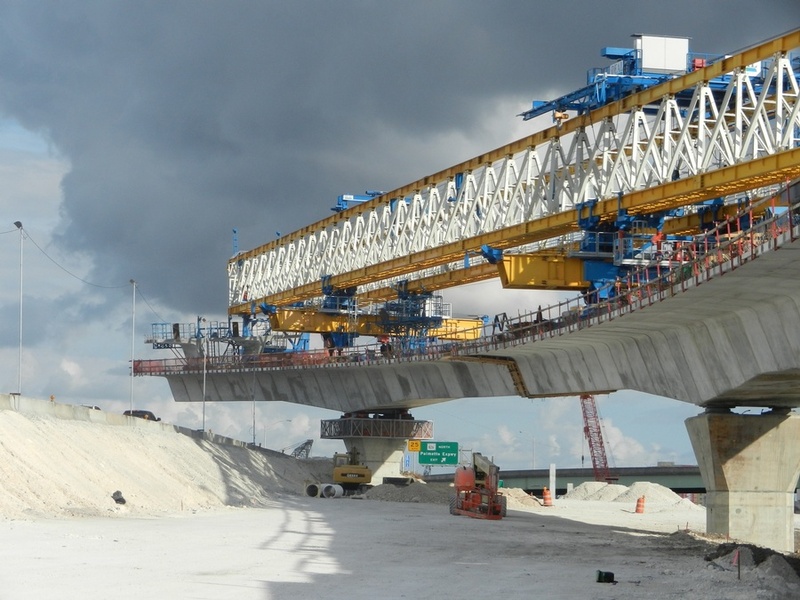 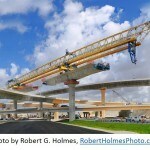 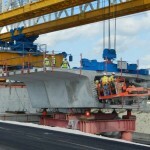 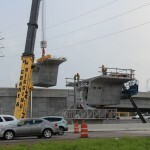 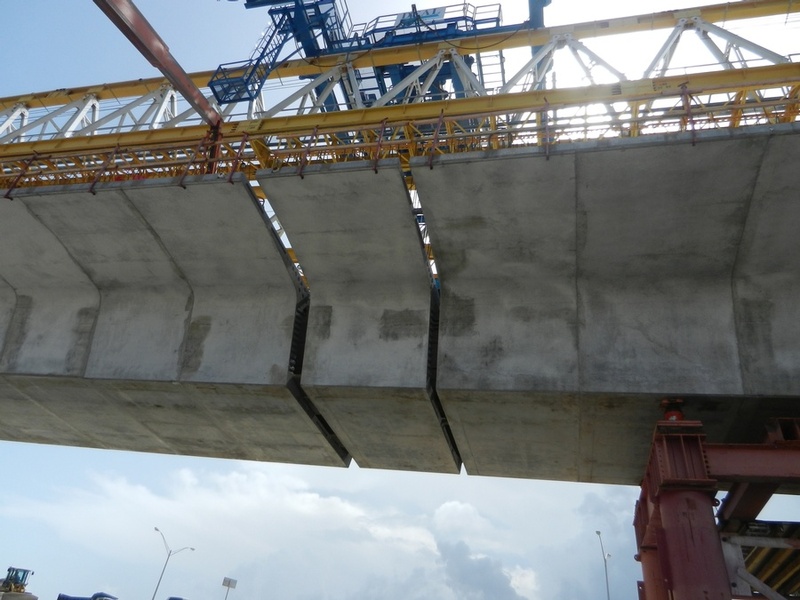 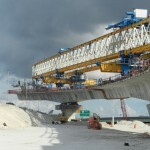 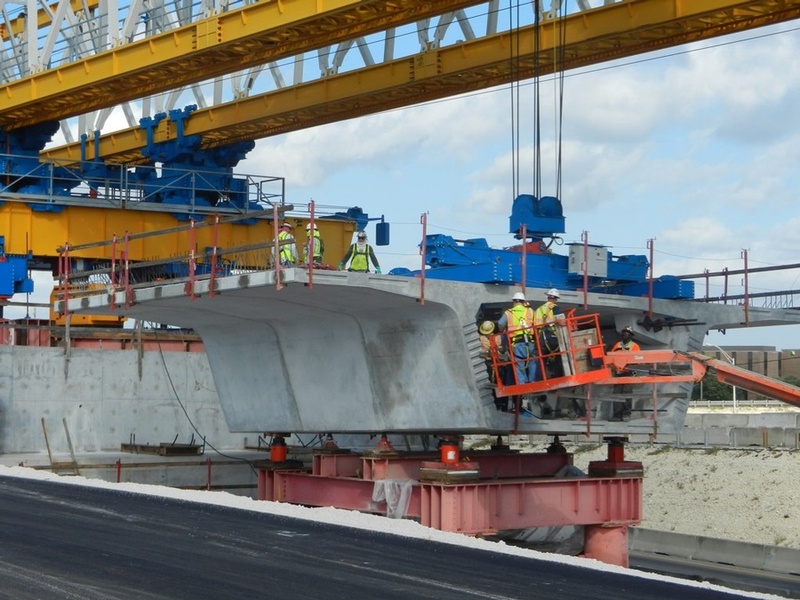 The segmental bridge ramps were precast, balanced cantilever and erected with a 460 ft. launching gantry. 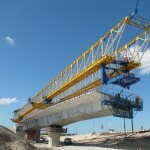 The bridge lengths varied from 1,100 ft. to 2,450 ft. in length and are 47 ft.-wide with a maximum span length of 266 ft. 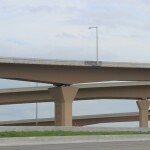 The curved segmental bridge ramps are the third level of the interchange with radii down to 590 ft. and have a maximum superstructure deck height of 95 ft. above the proposed ground. 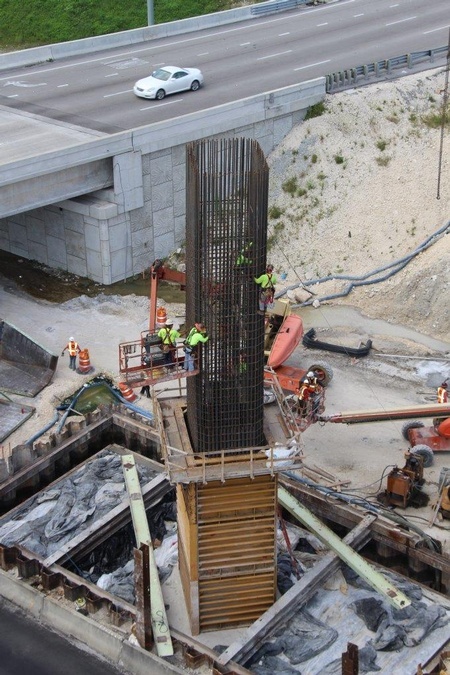 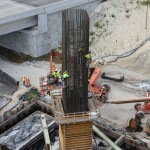 All of the bridges are supported on 24” pile foundations and reinforced concrete piers and caps. 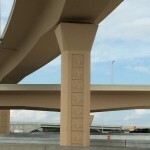 The design offered unique challenges integrating underlying roadways, canals, and MOT requirements into the layout of these segmental bridge ramps. 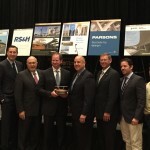 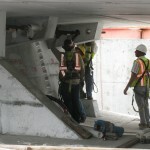 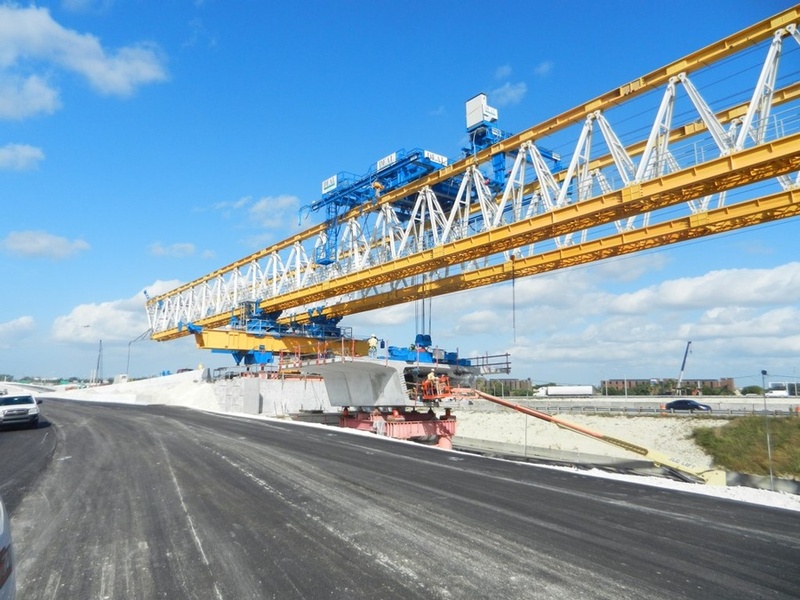 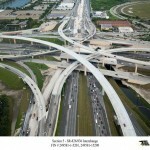 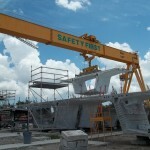 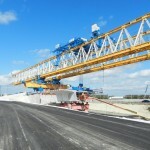 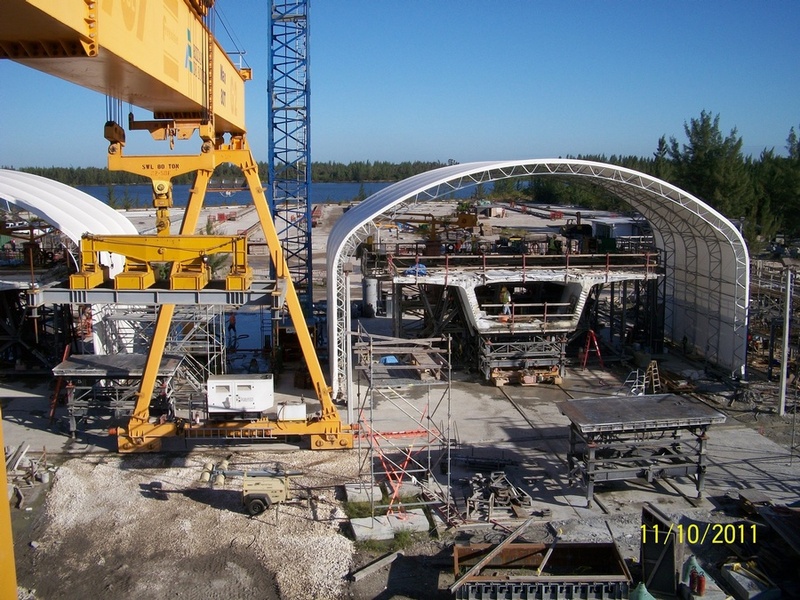 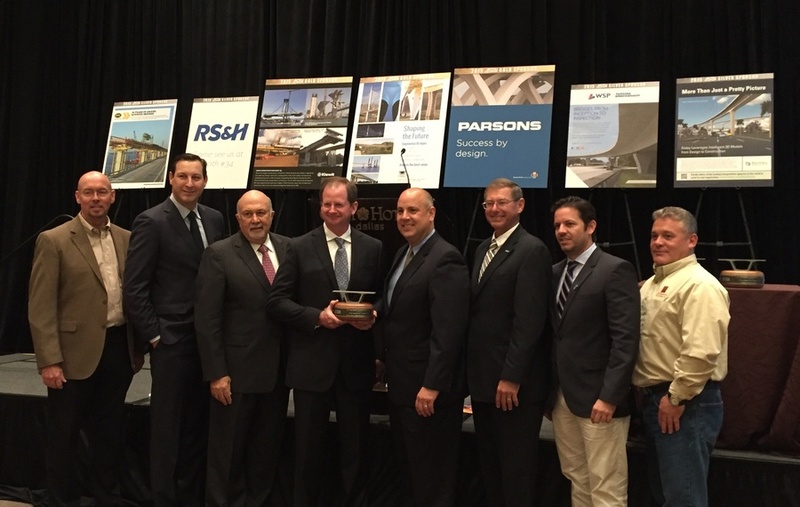 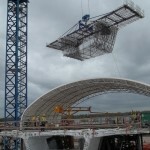 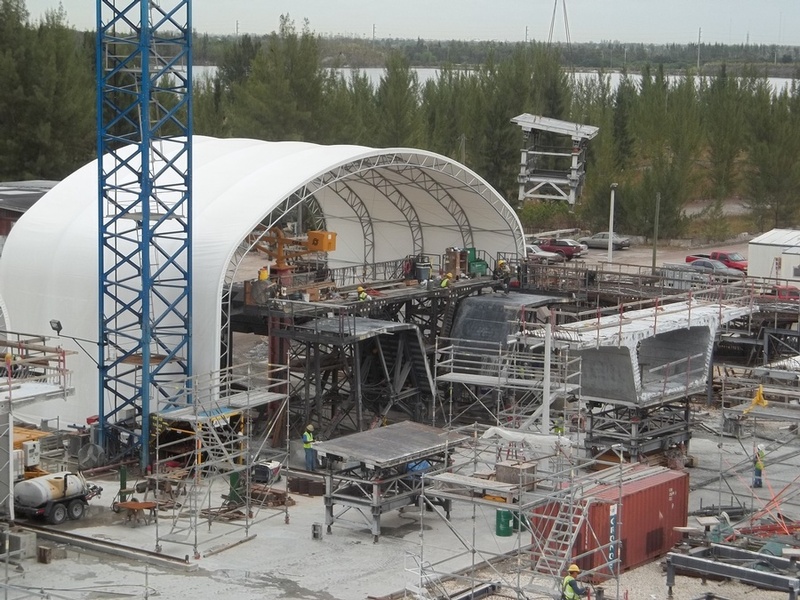 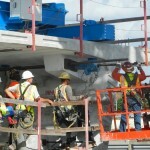 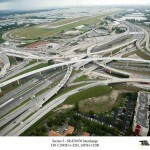 This project was constructed in the Miami International Airport flight path and followed FAA requirements. 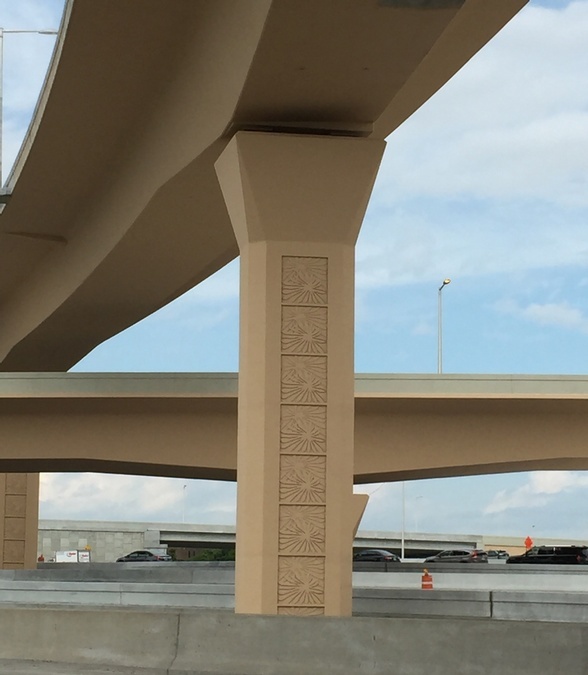 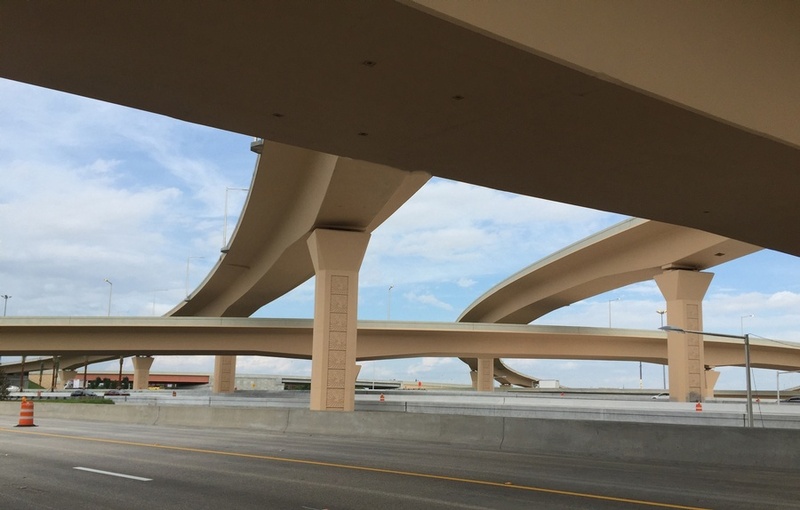 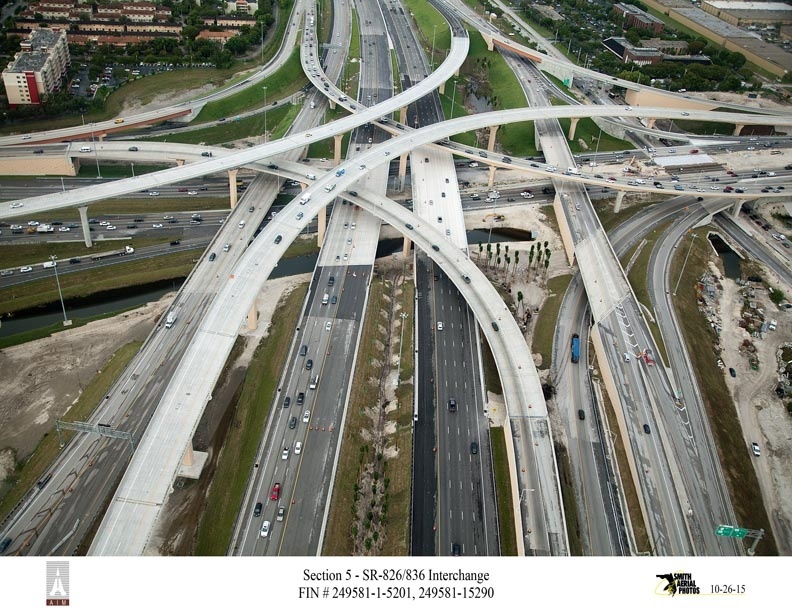 The high level segmental flyovers are built over multiple roads that carry 430,000 vehicles per day and are the tightest elevation curves erected in the United States. 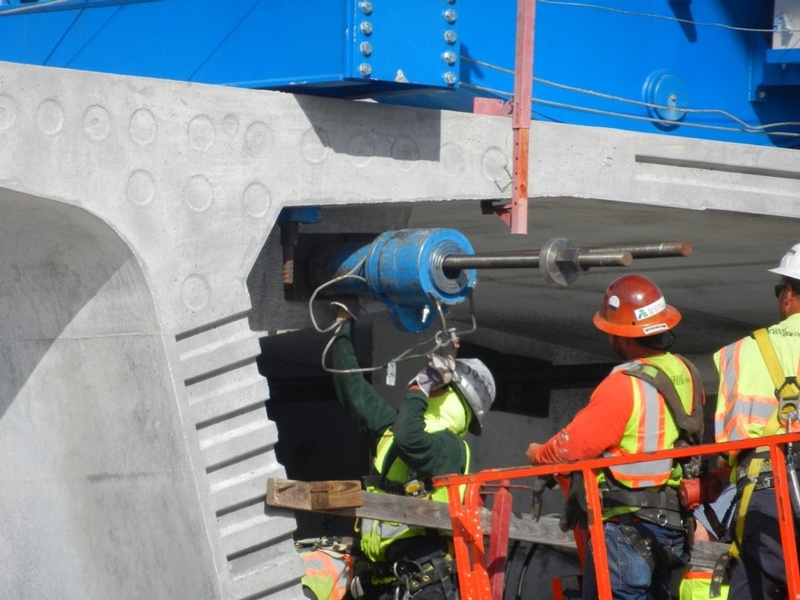 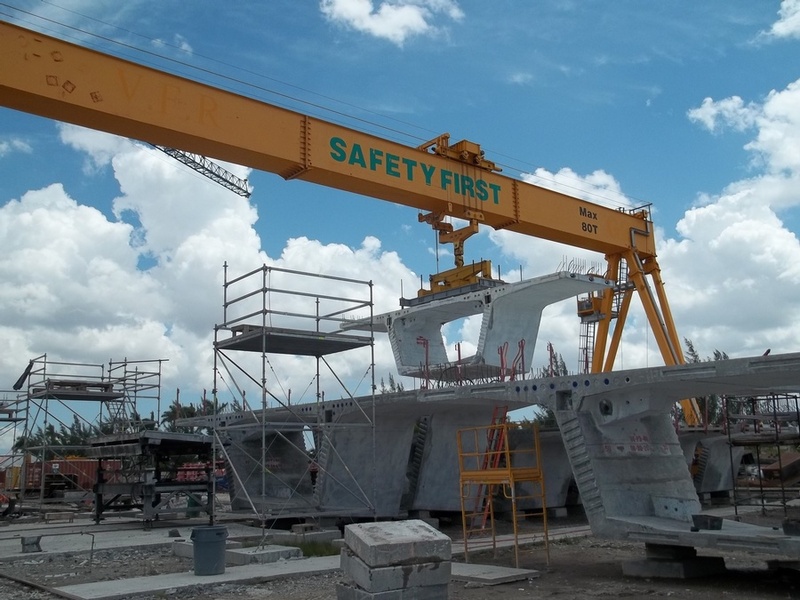 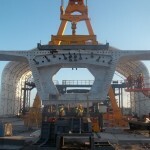 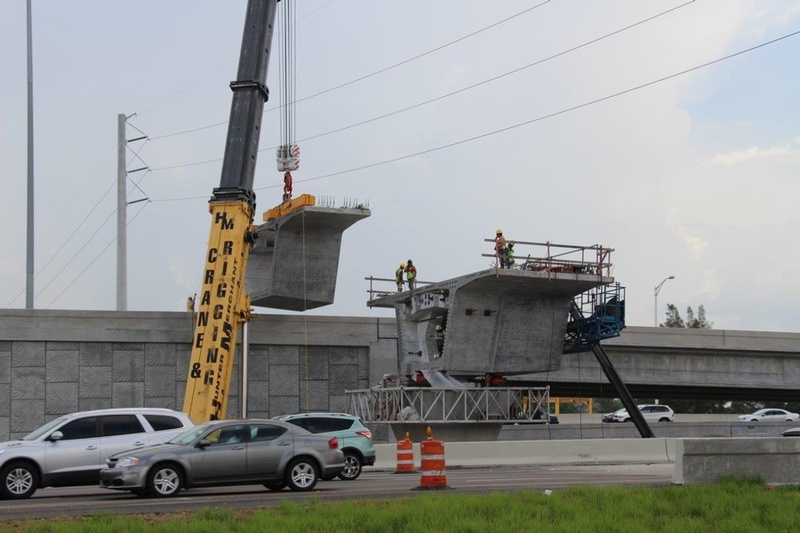 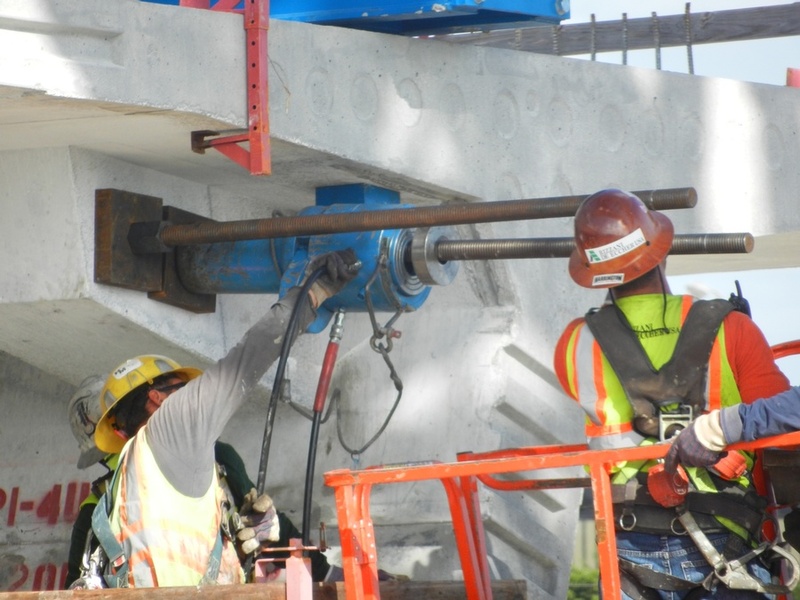 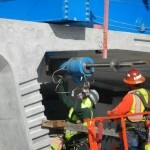 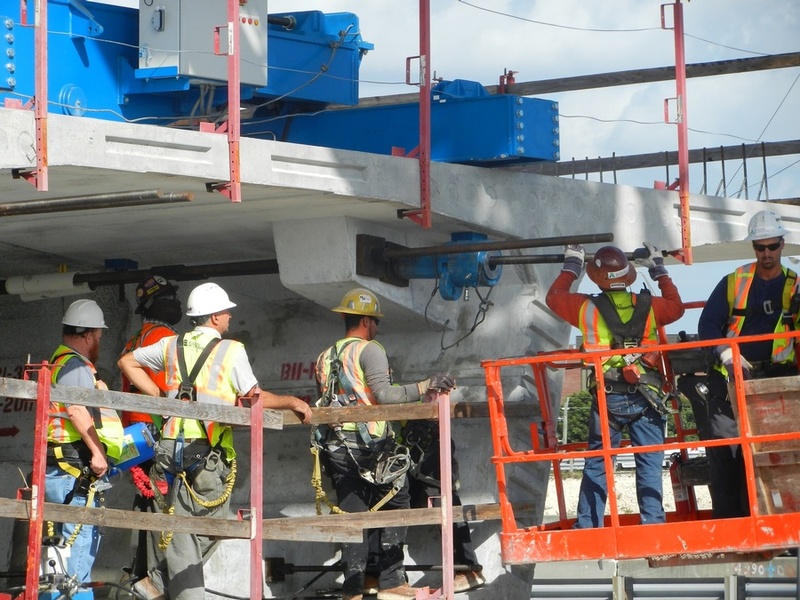 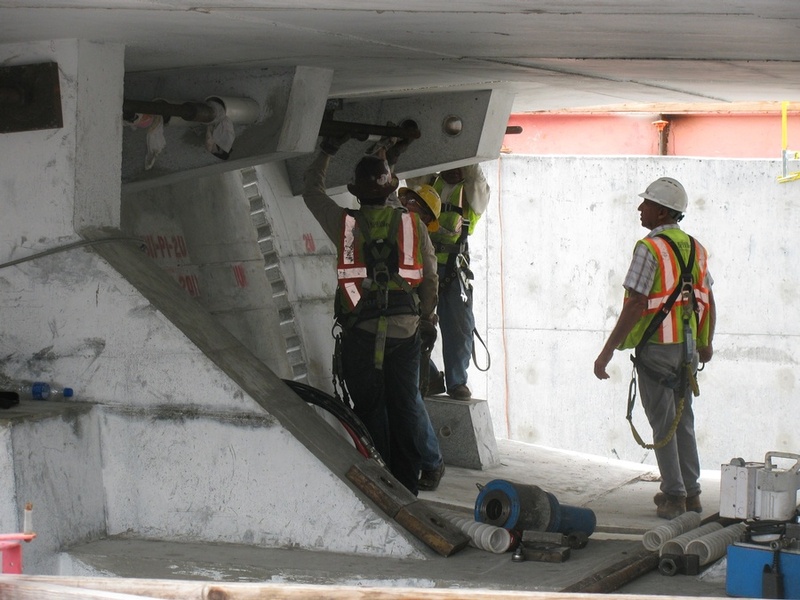 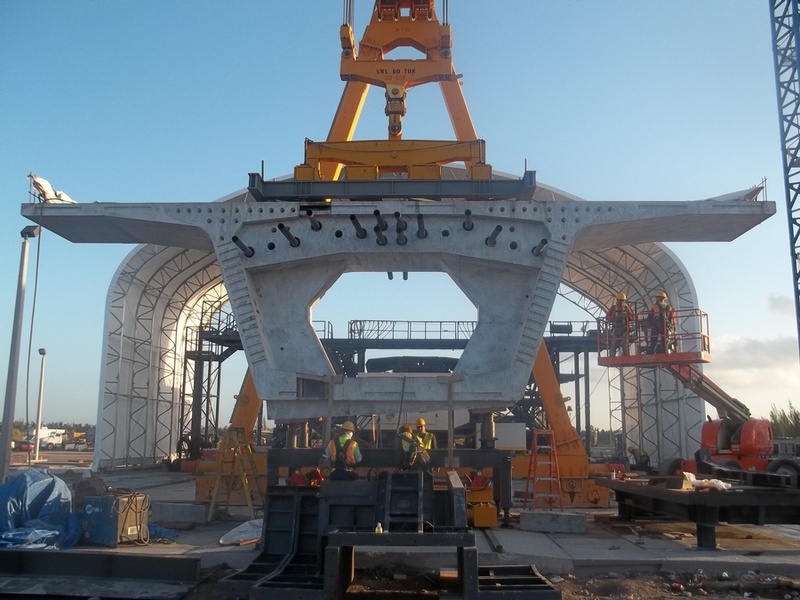 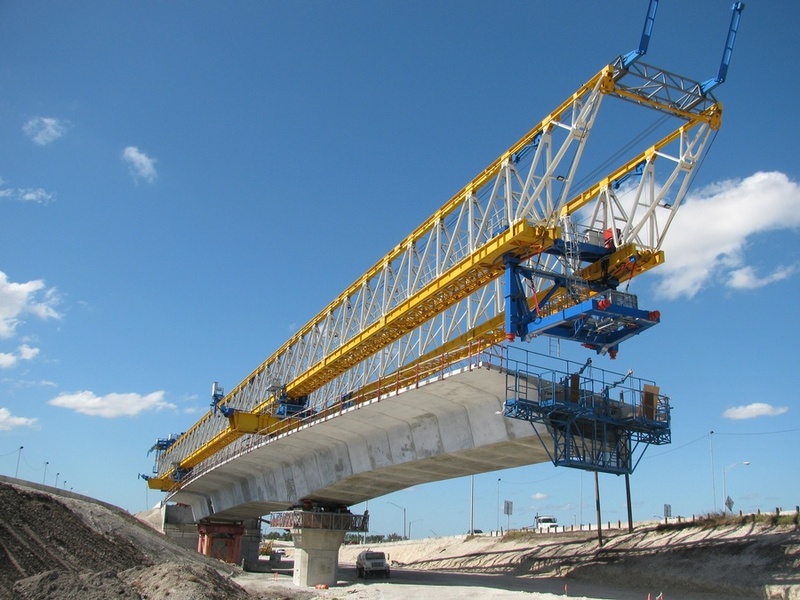 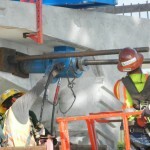 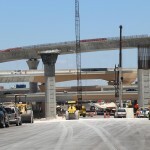 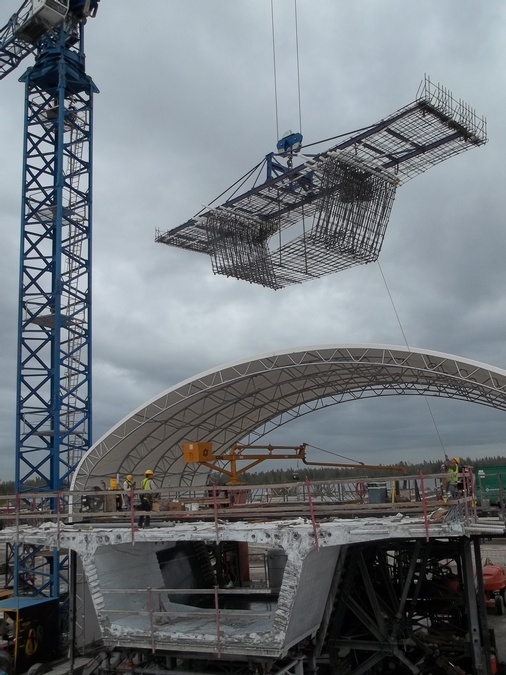 The all overhead erection eliminated the need for falsework and cranes as well as eliminated five MOT phases that would have impacted traffic and provided a safer work environment. 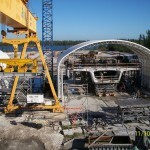 FINLEY integrated the design into the construction while satisfying the strong aesthetic requirements. 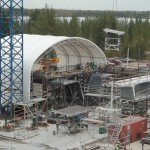 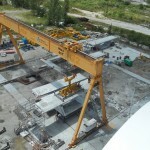 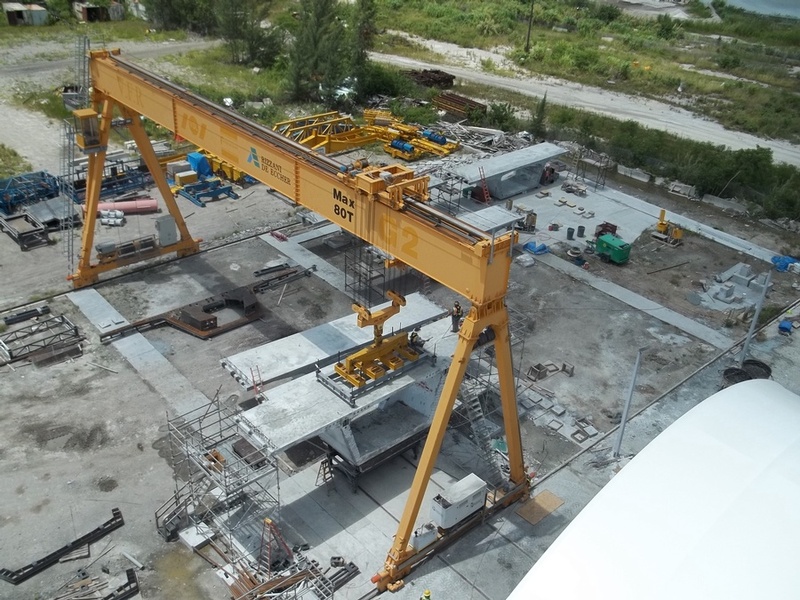 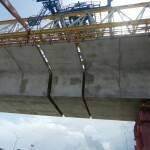 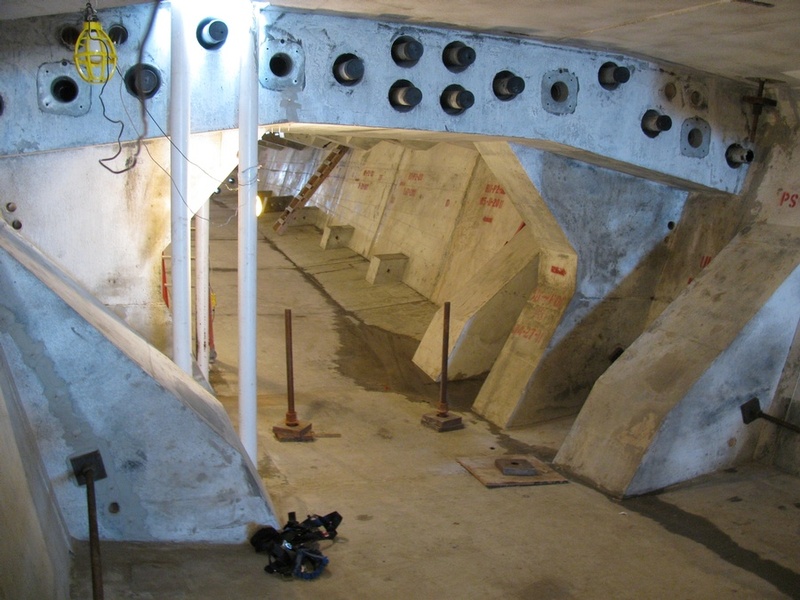 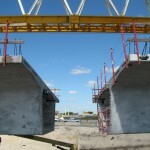 The design reduced maintenance and construction costs with the utilization of external tendons, diabolos and deviators. 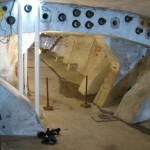 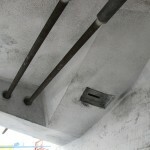 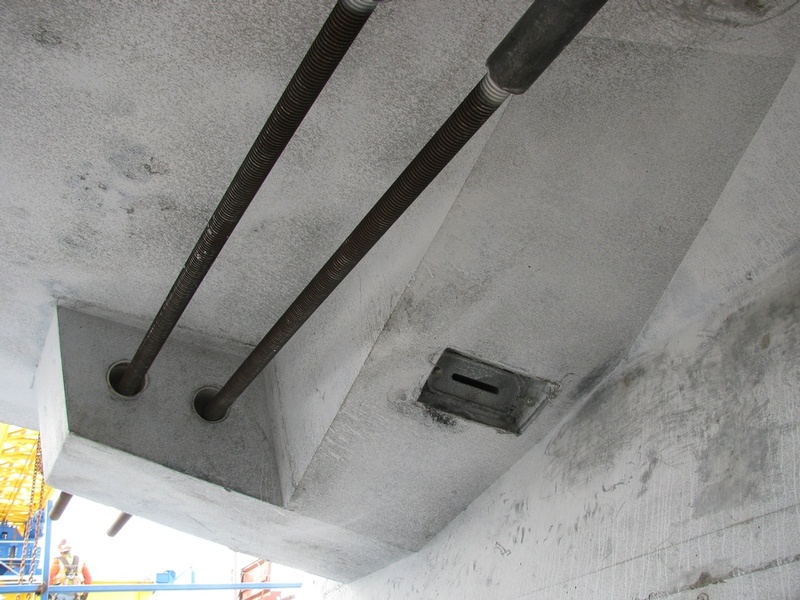 Besides at the base of the caps the use of polystyrene in the hollow pier columns eliminated the need for interior formwork and reduced the overall mass of the structure and concrete required.